Corroco model B-11 sleeve valve is designed to provide superior valve performance for atmospheric or submerged discharge in flow control and pressure reduction applications. Its typical applications are turbine bypass, reservoirs discharge, ground water recharge and accurate adjustment and control of flow. This submerged type sleeve valve dissipates energy and controls flow by diverting the water through multiple orifices located within the sleeve and discharging to atmosphere or body of water. It modulates flow by sliding one pipe called the gate over another pipe called the sleeve. 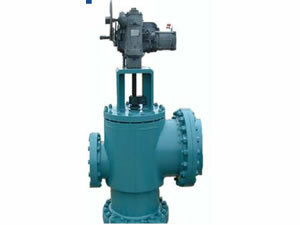 This submerged type sleeve valve can also be widely applied to the pipelines for water supply, water diversion, water power station and circulating water. Immerged in the stilling pool, it functions as drain valve to regulate the pipe water flow, reduce pressure and dissipate energy. 1. The water valve is featured with submerged layout. 3. The submerged type sleeve valve possesses excellent ability of cavitation erosion resistance and fine performance of flow rate regulation and pressure regulation. 5. 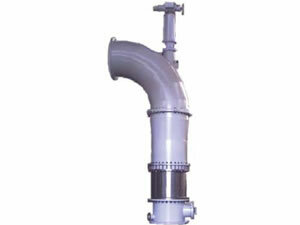 The water valve has proper measure to defend against blockage and get rid of rubbish. 6. Our submerged type sleeve valve is a high-precision adjustment valve. Corroco International Industrial Co., Ltd is a professional manufacturer and supplier of submerged type sleeve valve in China. In addition to this water valve, we also provide butterfly valve, turbine inlet spherical valve, model C20 cone valve, model N needle valve, etc. With 12 years' production experience, our products have been exported to the United States, Canada, Britain, Germany, Iran, Pakistan, India, Kuwait, Dubai, Saudi Arabia, the Philippines, Malaysia, Singapore, Congo, Turkey, etc. They are well received by our clients from both home and abroad.